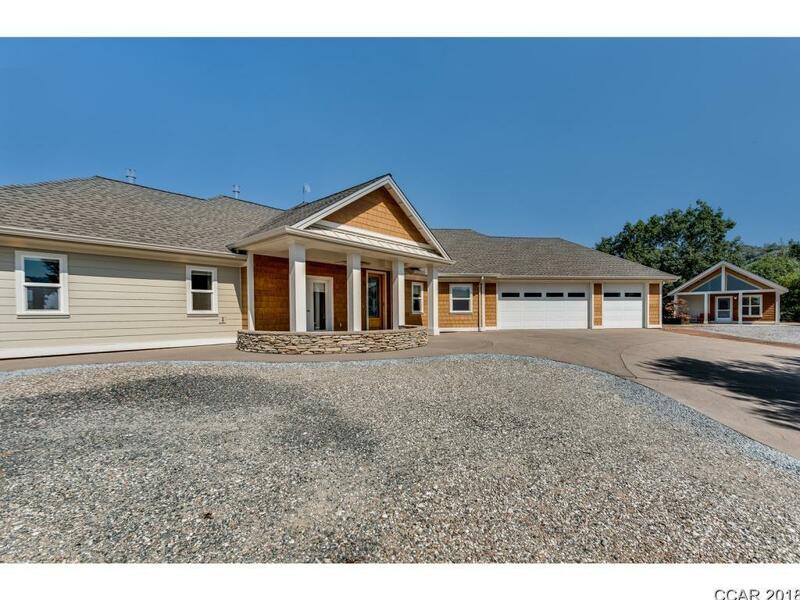 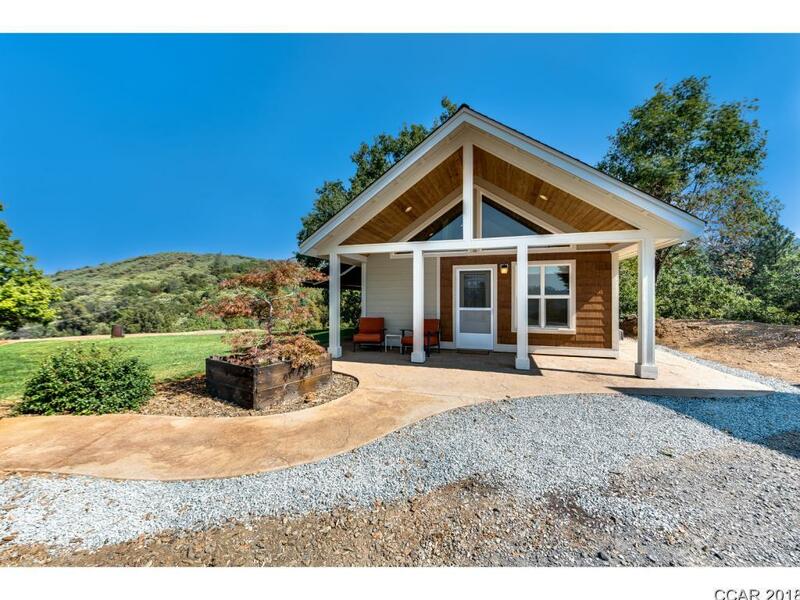 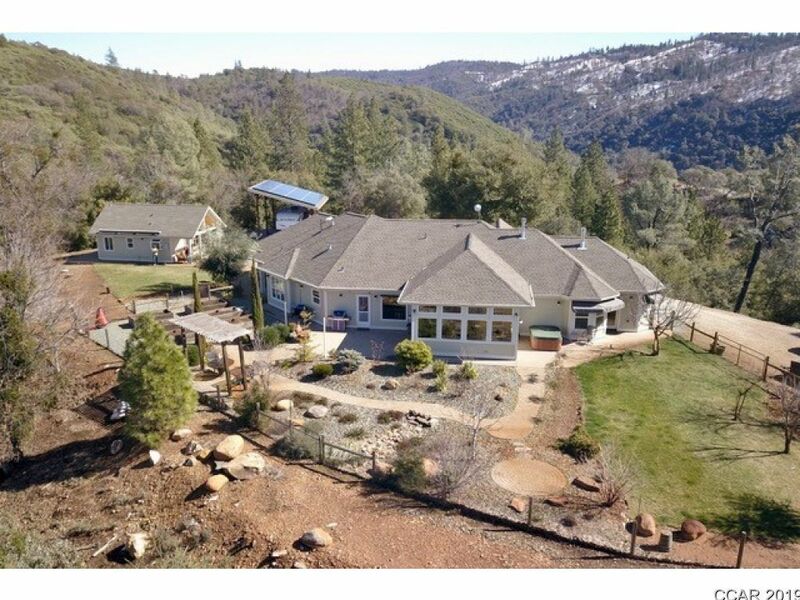 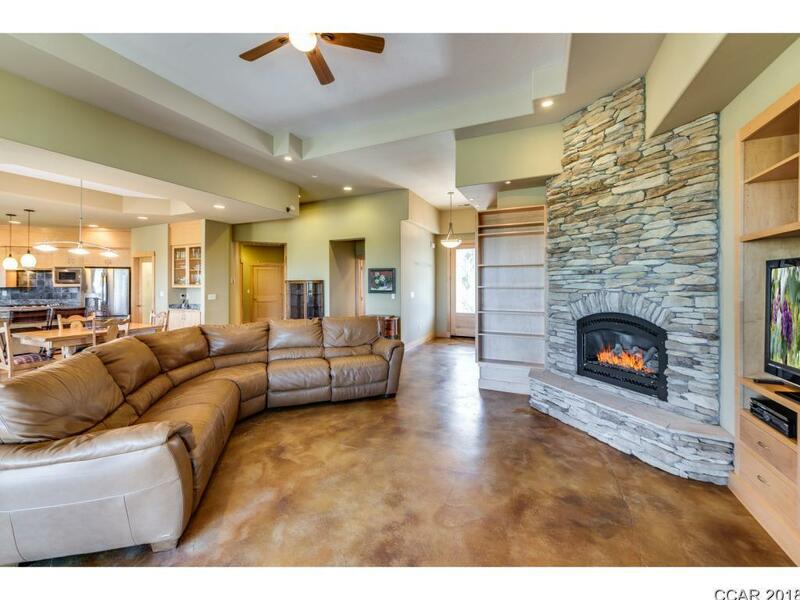 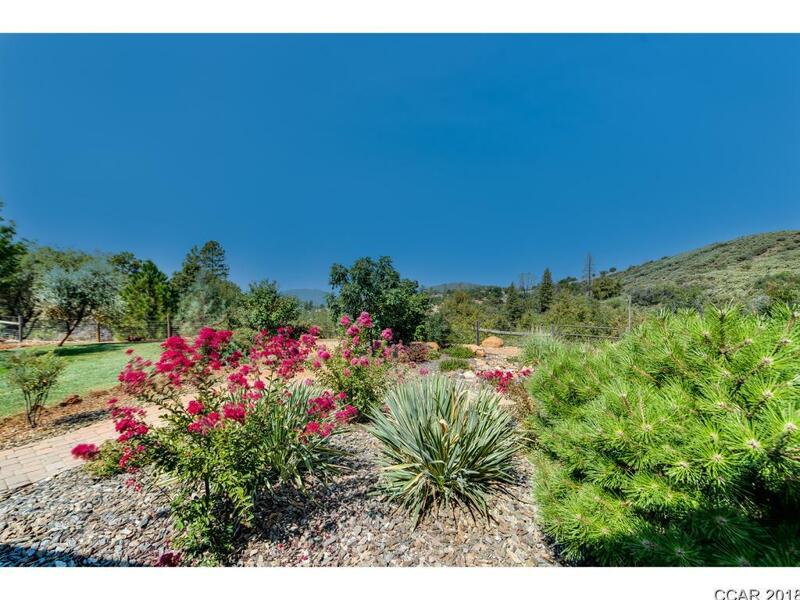 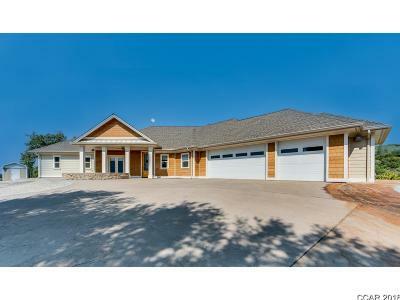 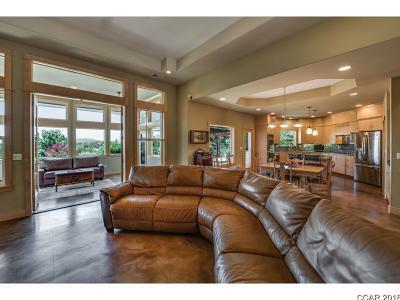 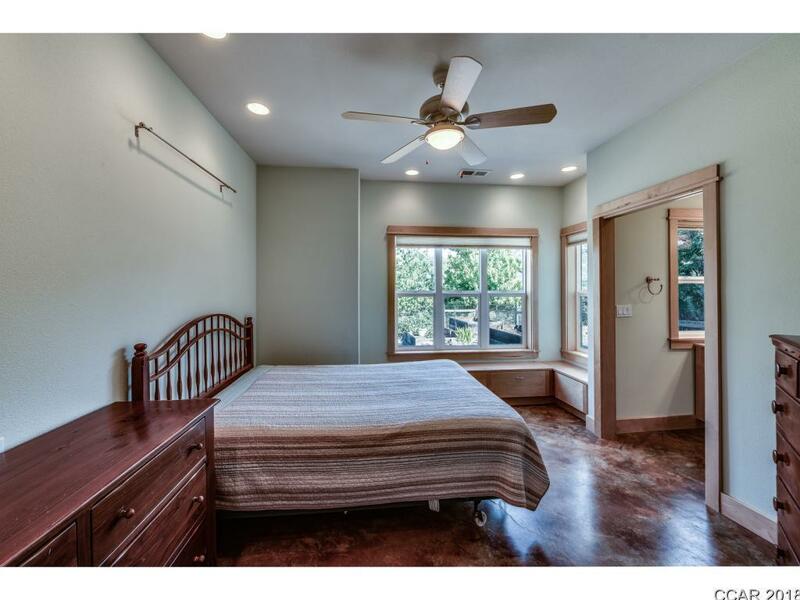 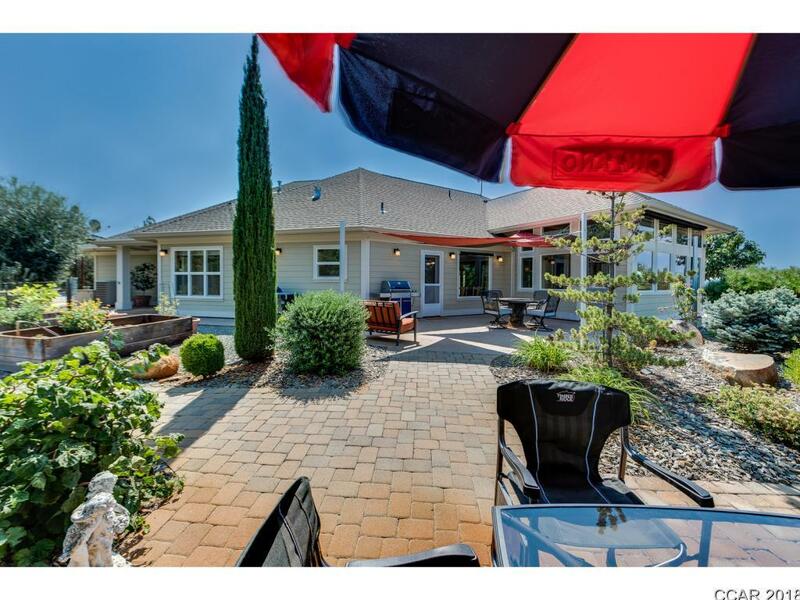 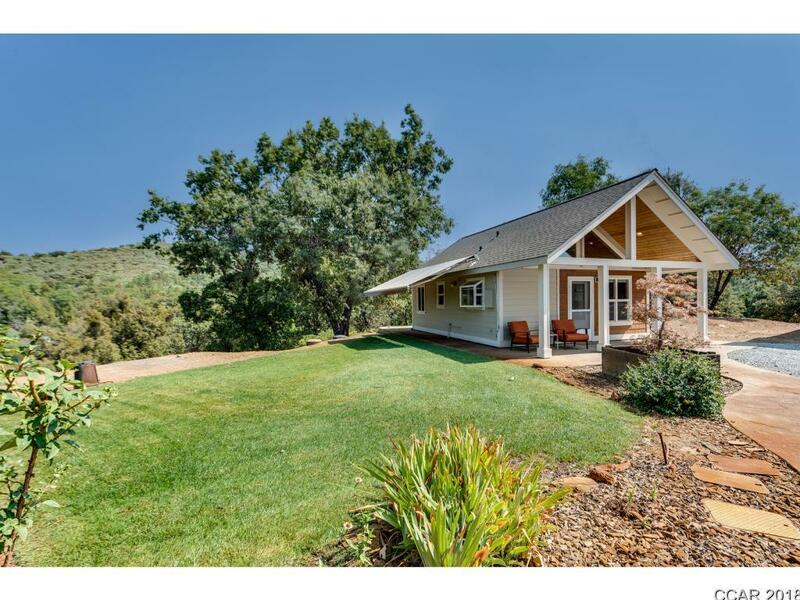 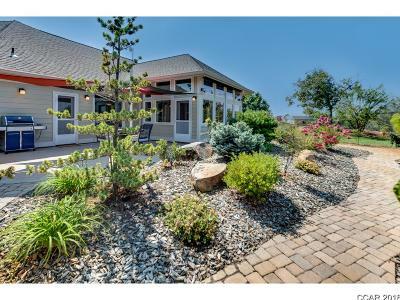 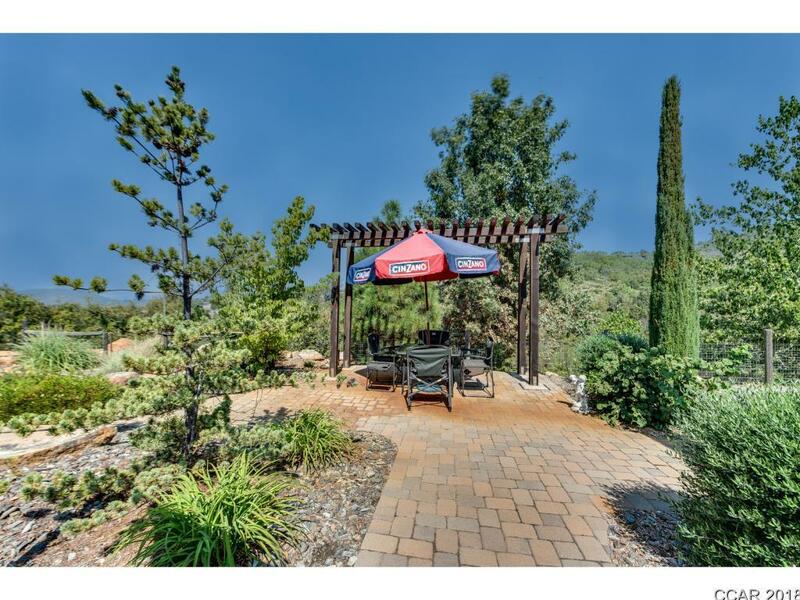 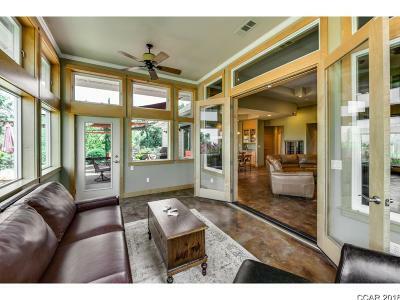 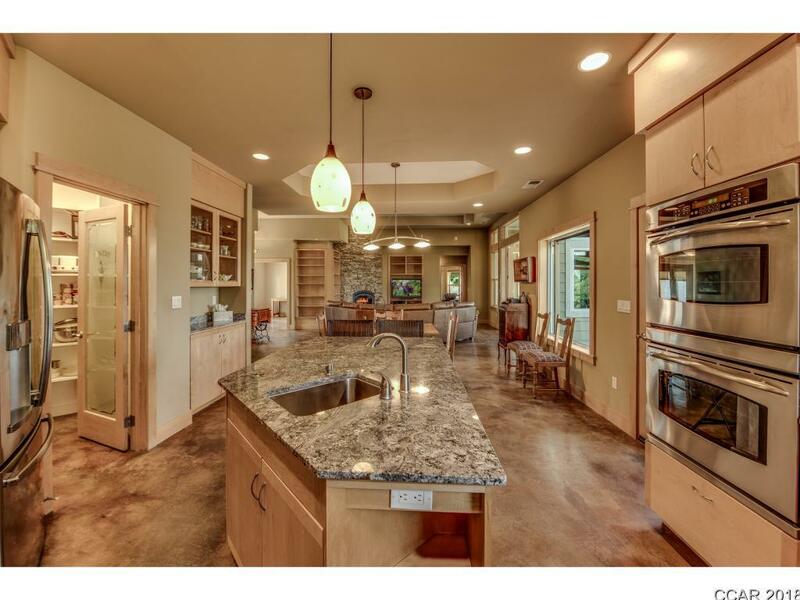 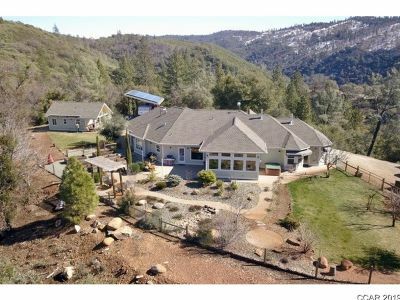 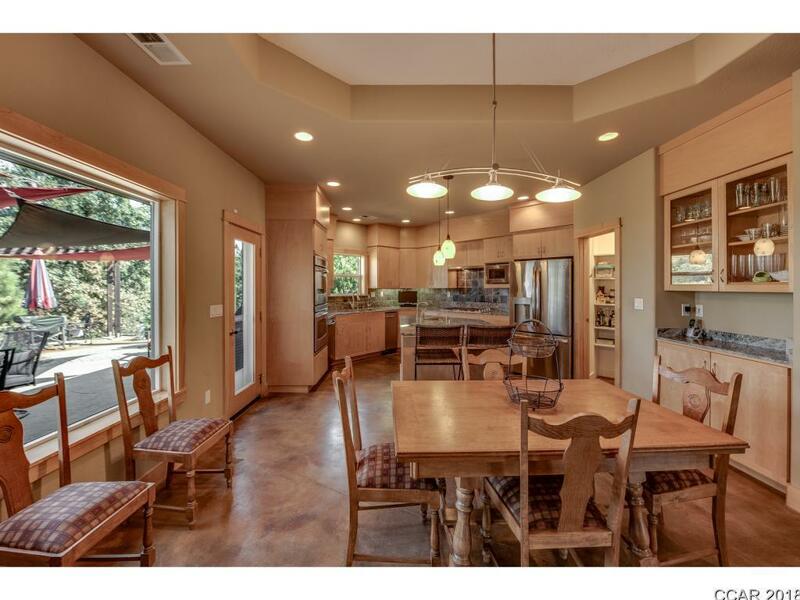 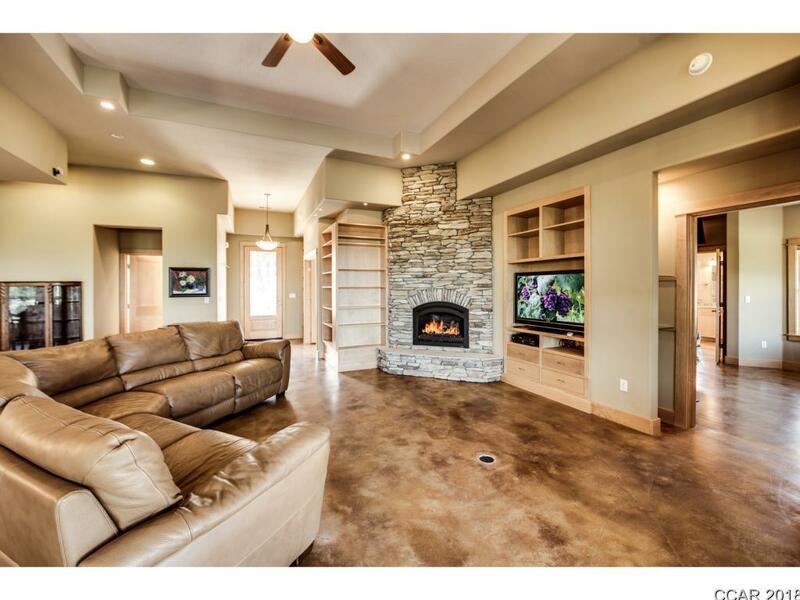 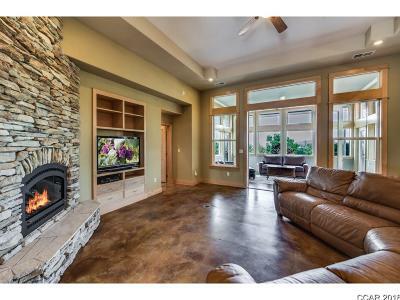 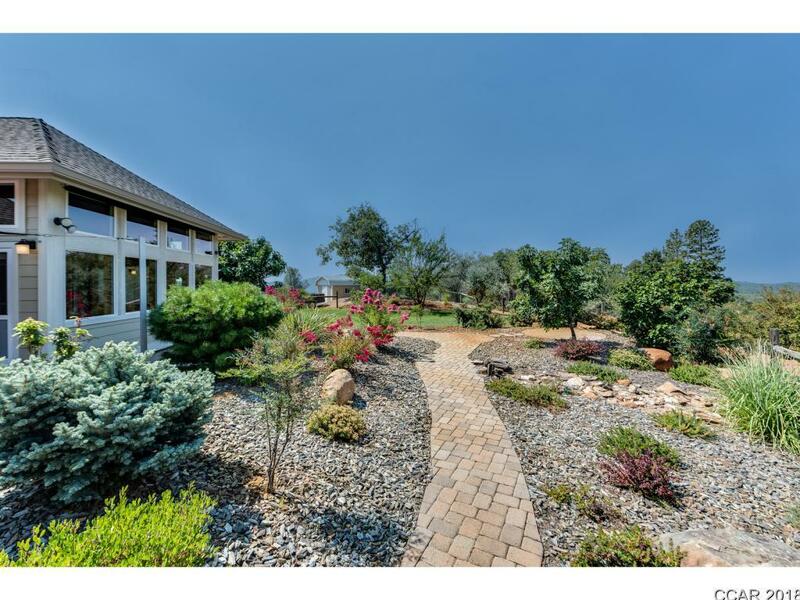 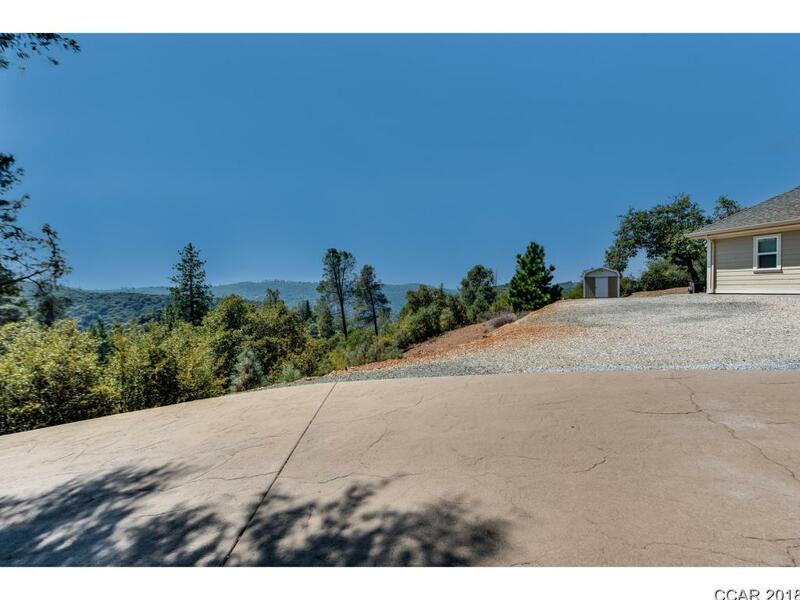 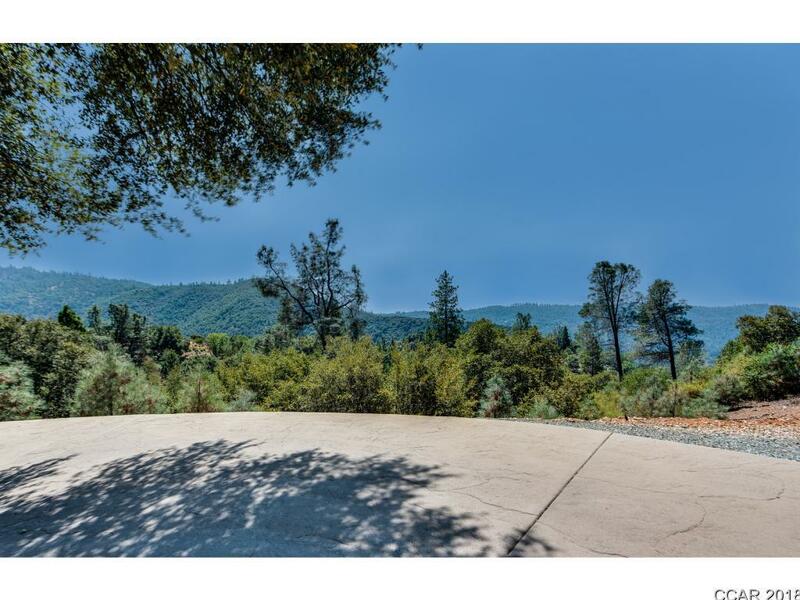 Sweeping views from this single level custom estate on 7 acres designed by Rudy Ortega only 3 miles from Murphys Main St. Radiant heat emanates throughout stained cement floors plus central HVAC and SOLAR! 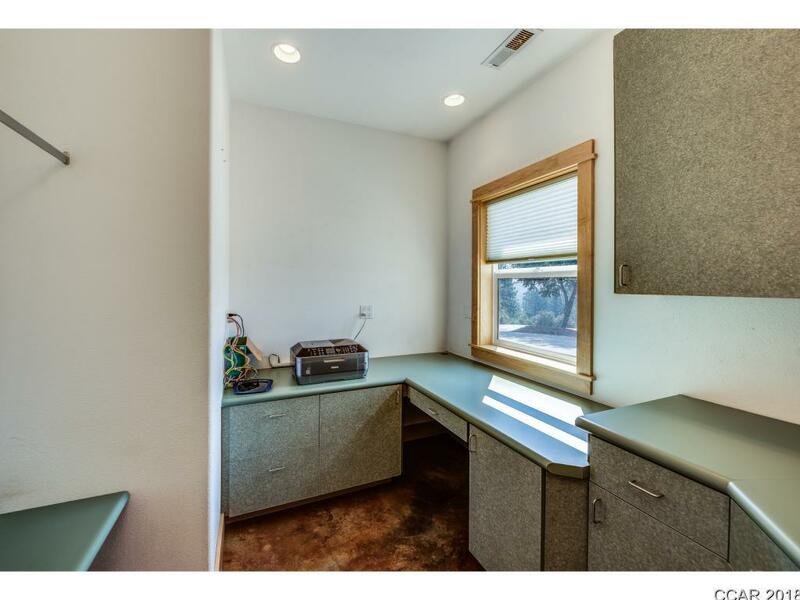 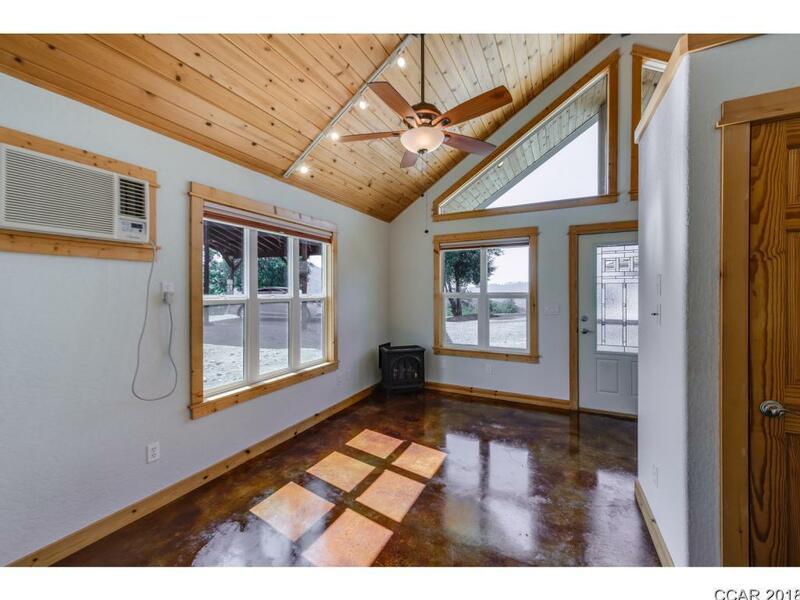 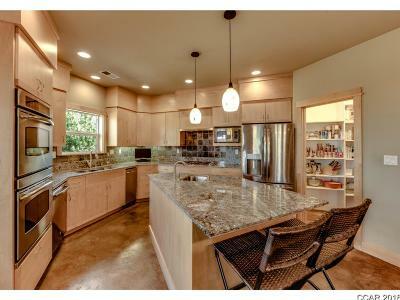 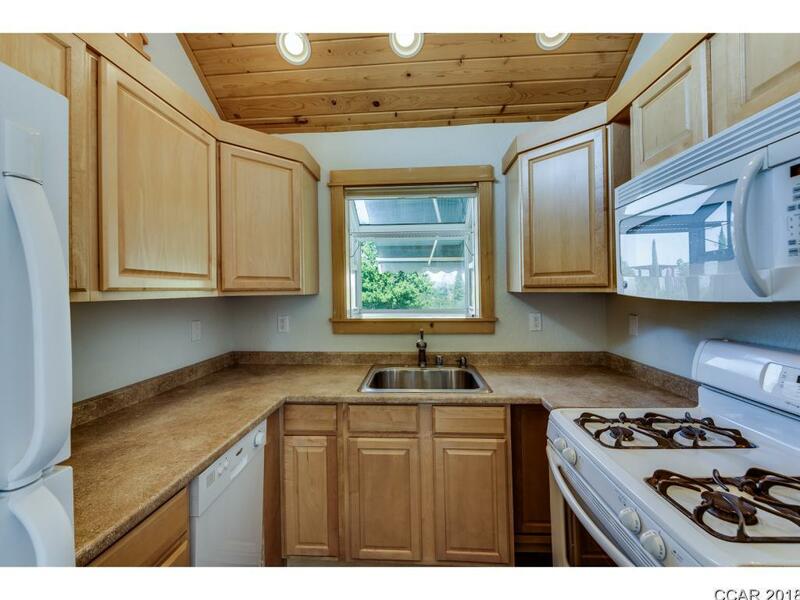 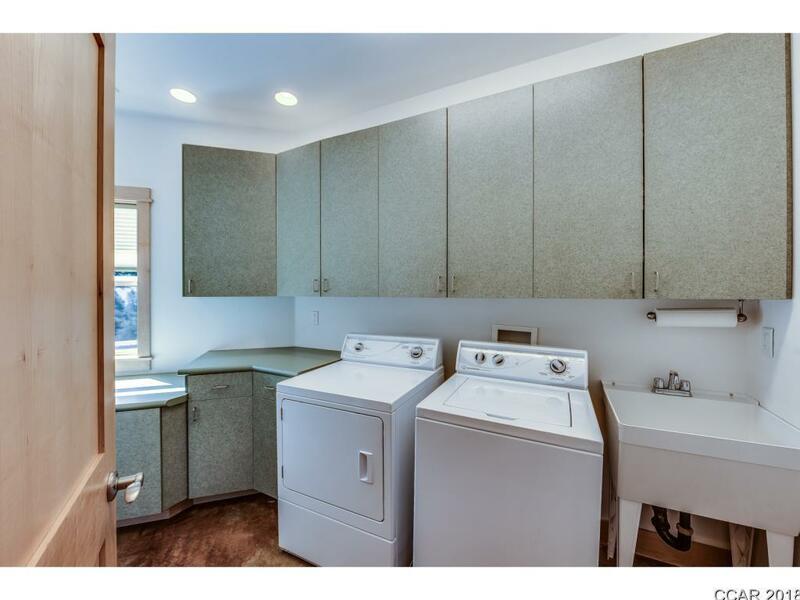 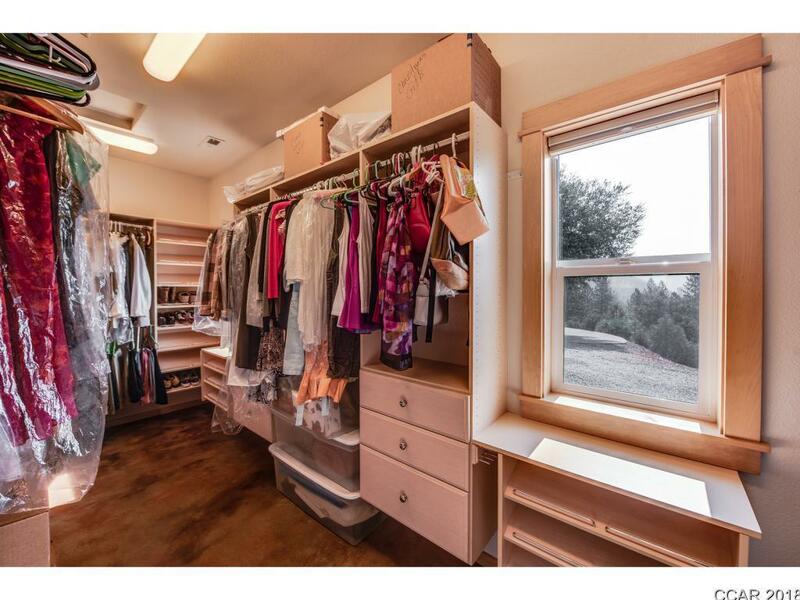 2 bedrooms plus an office, gorgeous sunroom, huge laundry room and more. 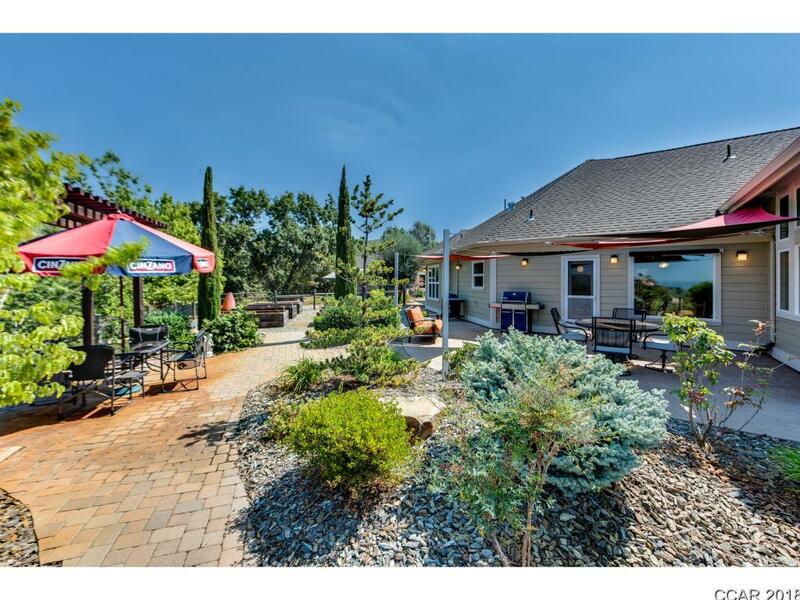 Darling fully equipped cottage located by the garden w/raised beds, spa and professionally landscaped yard. Gracious open floor plan with high ceilings, rock hearth propane fireplace, huge kitchen w/ island and quality amenities, built-ins throughout, laundry room with office, 3 car garage. 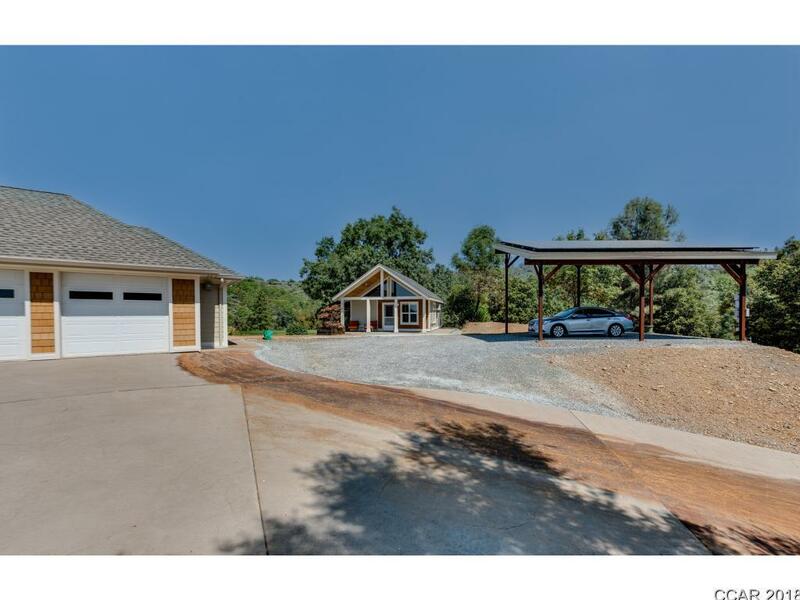 Built in generator, paved driveway and low maintenance yard. 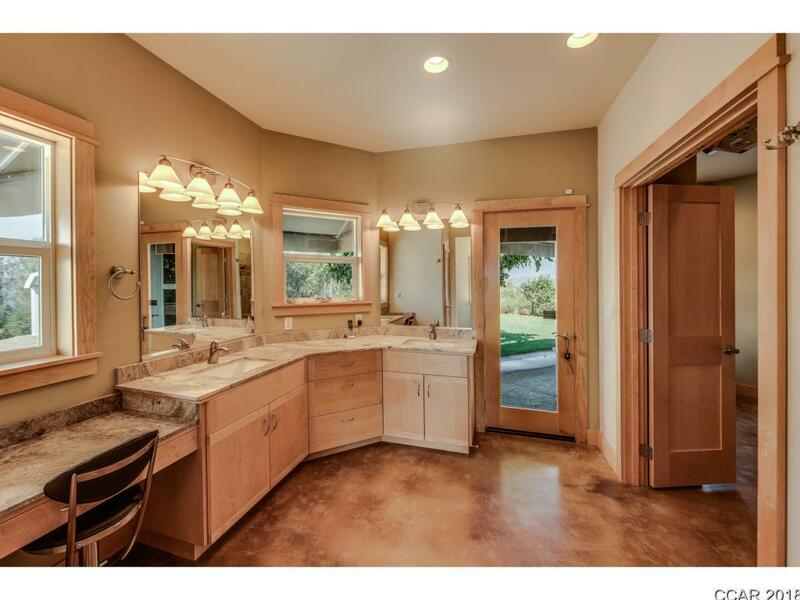 Enjoy the ultimate in privacy, quality of materials and the good life! 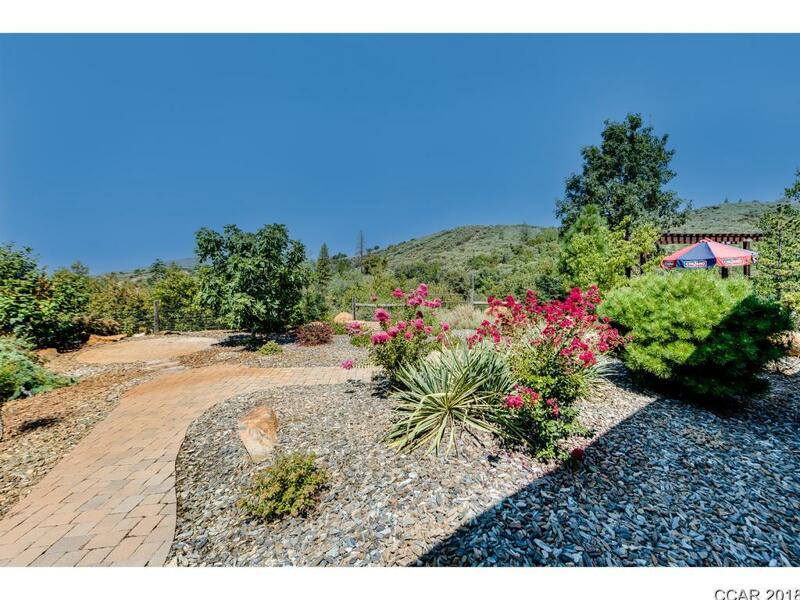 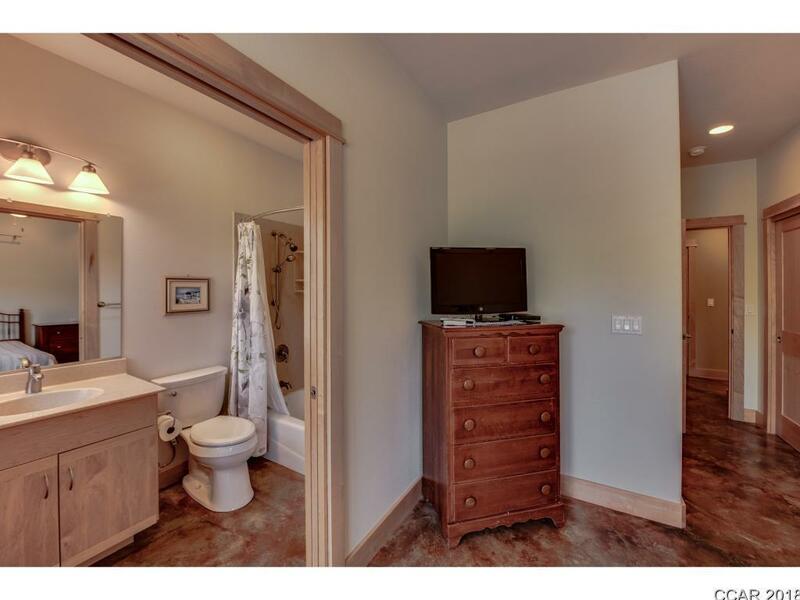 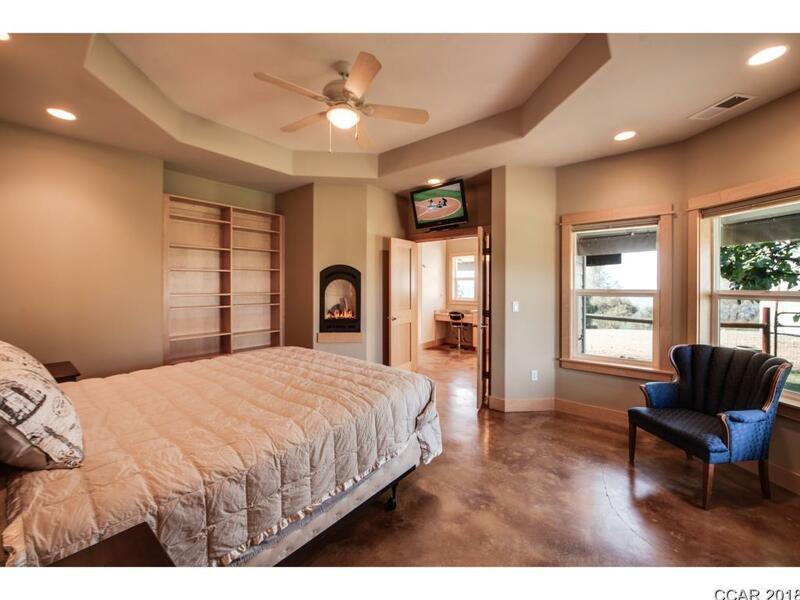 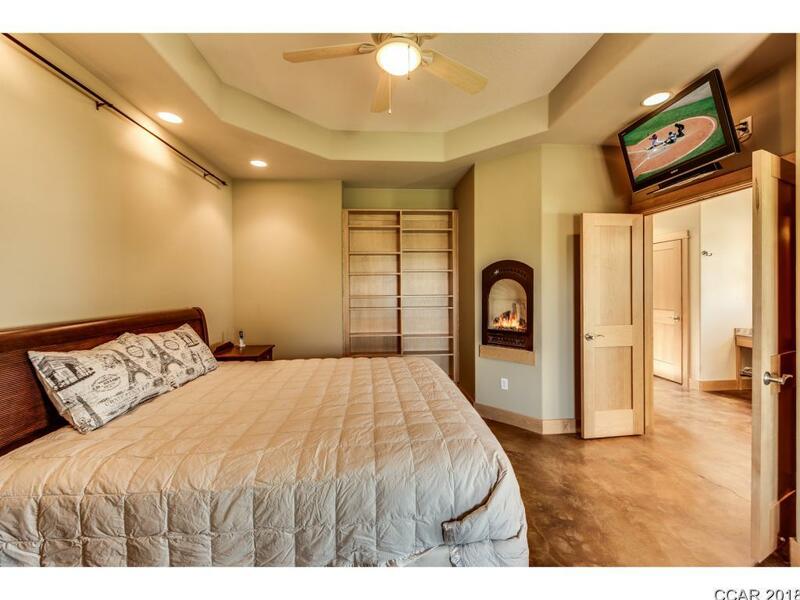 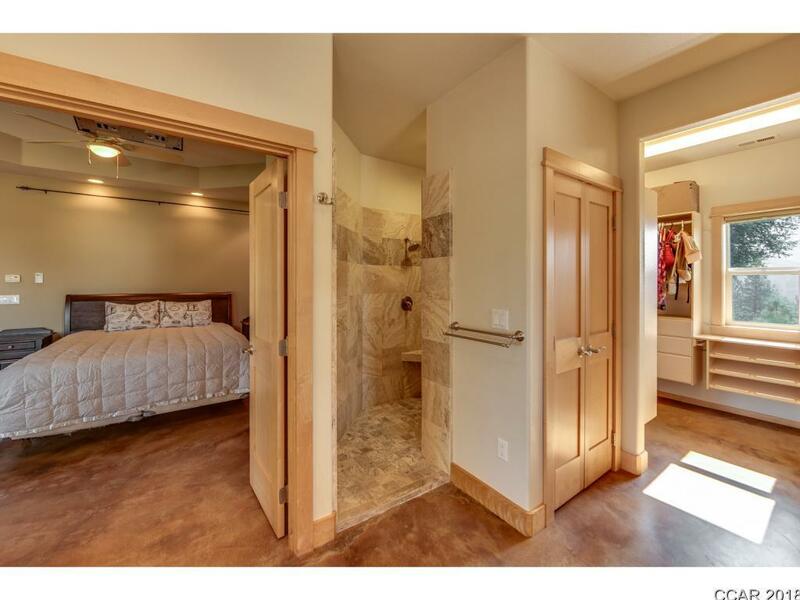 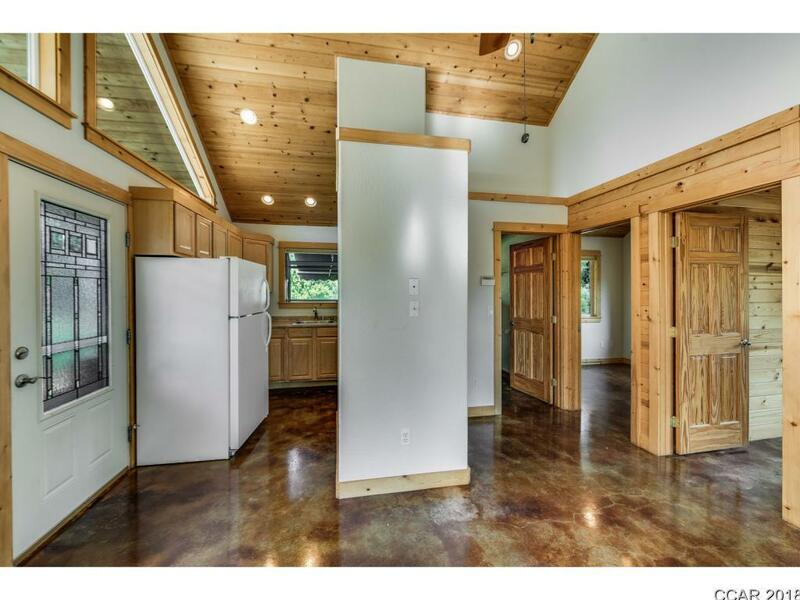 Property adjoins BLM land for maximum privacy and pleasure. 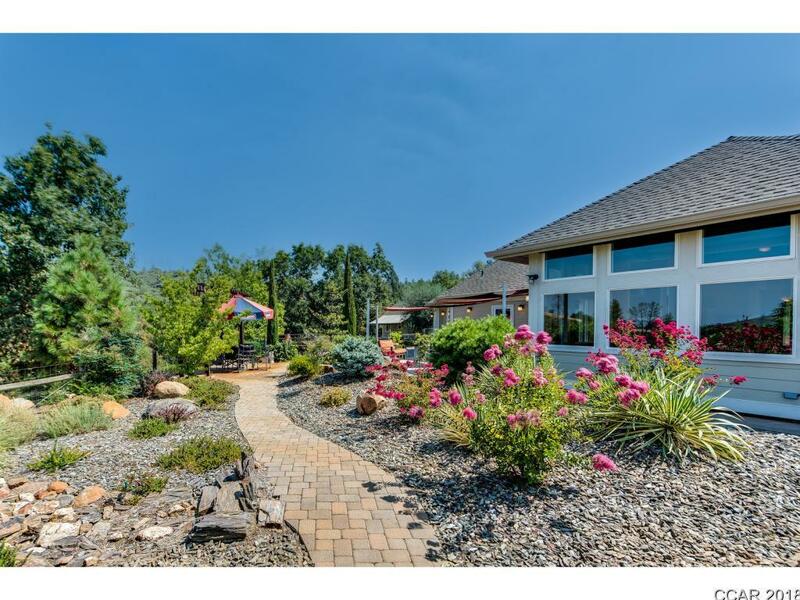 See amenity list for all the extras!